The Adventure of the Incognita Countess has been included in the 2017 Recommended Reading Lists of Locus Magazine and Tangent Online, and in the Seattle Times list of noteworthy books of 2017. If you like speculative fiction, early 20th century settings and events, as well as a world that puts you in mind of old 1950’s Martian invasion posters (there are no Martians actually in this book, FYI, just a referenced past invasion), you should absolutely give this book a read. For me it was short, refreshing with its different sort of speculative fiction content, and it left me wanting to read book two. What more could I ask for? "Amid the steampunkish thrill of weaponized gloves and a stolen set of blueprints for Jules Verne’s proto-submarine Nautilus, Ward’s heroine experiences the throes of vampiric lesbian love and finds herself questioning her terribly problematic views on souls. Though short, this book throngs with action and its characters’ piercing emotional reactions to its tight plot." "[A] brisk novella...it draws deeply from the well of 19th and early 20th century speculative literature. In that much, it reminds me no small part of Penny Dreadful. It has the same gleeful delight in its own references, the same playfully gothic geekery." 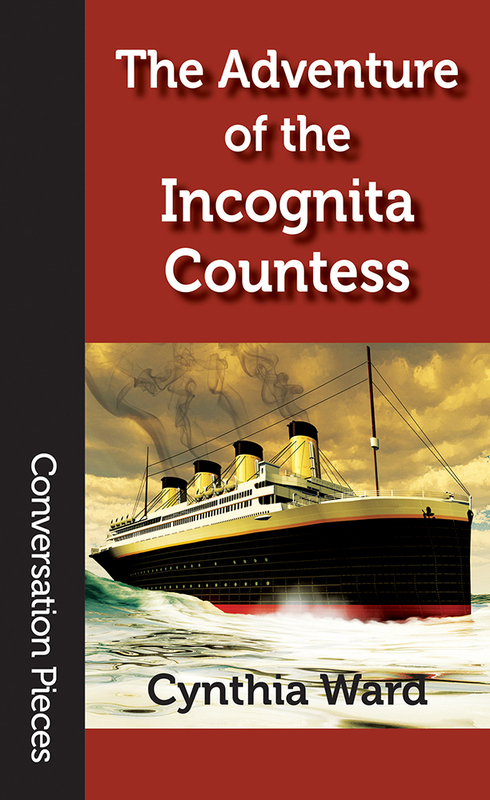 "Cynthia Ward’s The Adventure of the Incognita Countess [is] a story much influenced by 19th century literature that involves vampires, spies, trans-Atlantic passenger liners in the 1910s, and emotionally tangled relationships...very close to my heart...excellent and queer." "[G]rand and smashing recursive steampunk in the manner of Alan Moore’s League of Extraordinary Gentlemen, and a splendid romp indeed." "I am left frustrated, yet again, because there isn’t more. More Lucy, more of this world, more of her doing missions among intrigue, war preparing Europe, facing all the creatures of legend, penny dreadfuls and steampunk fame. There is something so terribly sad about an awesome book that ends too soon." "Ward deftly incorporates details that heighten the realism of Harker's bizarre cross-genre world, from Harker's dismissal of classism, to the clean energy of the Martian-inspired Titanic engines. Lucy's philosophical musings and delectable vocabulary recall the style of Sir Arthur Conan Doyle while delving into questions of emotion and personhood, responsibility and morality, in a way that emphasizes the dehumanization of the other—the other species, the other class, the other gender." "The Adventure of the Incognita Countess is a brisk novella and an amusing diversion...[O]ne of the more intriguing elements of this novella is very much its variety: of the many types of vampire which Lucy encounters, for instance, and what, exactly, differentiates or limits them." "The book’s ending is wide open for a sequel, with plenty of potential for more figures of legend to meet. Ms. Ward has done a wonderful job setting up her world, and the future challenges her characters will have to face." T]his quirky story takes place in an alternate history reminiscent of Kim Newman’s Anno Dracula series...[a] quick, fun read [that] would appeal to most fans of classic vampire fiction. Finished The Adventure of the Incognita Countess by Cynthia Ward, a charming piece of short pastiche featuring Le Fanu's Camilla and characters or plot devices from The War of The Worlds, 20000 Leagues Under the Sea and others. Even though short, there was some good character development among all the clever references. Recommended if you like that sort of story.